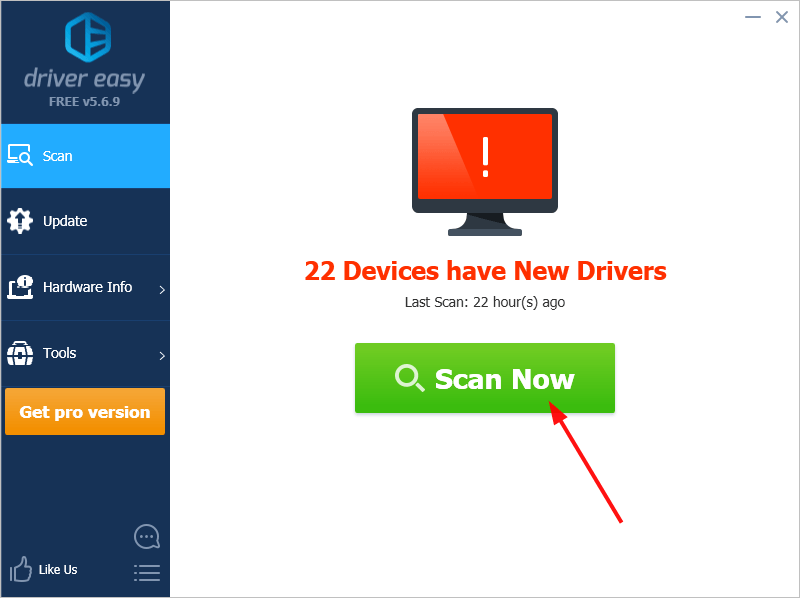 Option 1: Manually – You’ll need some computer skills and patience to update your drivers this way, because you need to find exactly the right the driver online, download it and install it step by step. Option 2: Automatically (Recommended) – This is the quickest and easiest option. It’s all done with just a couple of mouse clicks – easy even if you’re a computer newbie. Elgato keeps updating drivers. 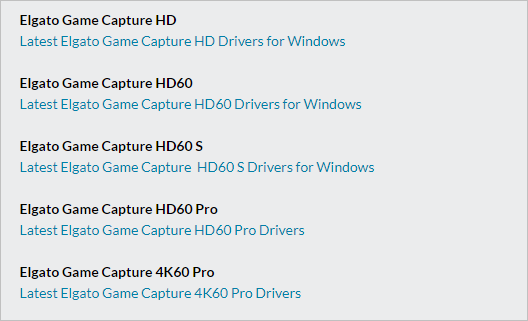 To get them, you need to go to the Elgato website, find the drivers corresponding with your specific flavor of Windows version (for example, Windows 64 bit) and download the driver manually. Once you’ve downloaded the correct drivers for your system, double-click on the downloaded file and follow the on-screen instructions to install the driver. 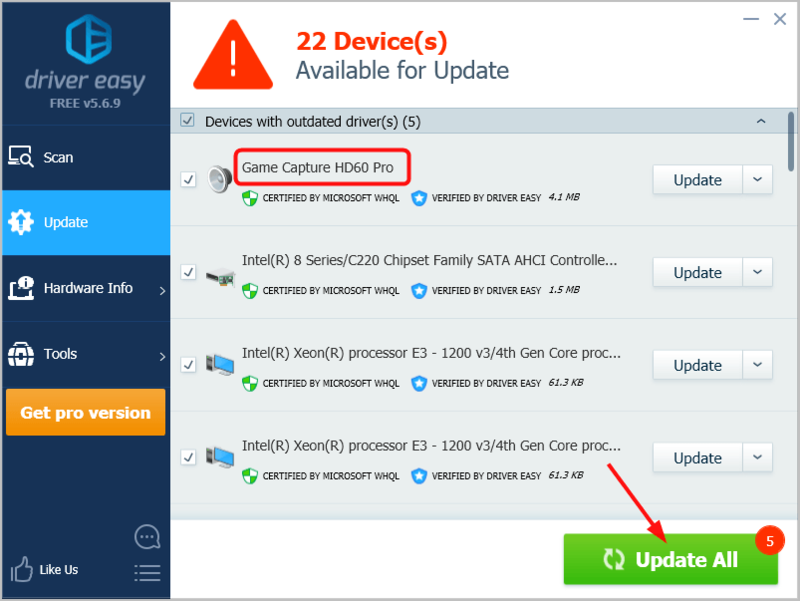 If you don’t have the time, patience or computer skills to update the Elgato driver manually, you can do it automatically with Driver Easy. 3) Click Update All to automatically download and install the correct version of all the drivers that are missing or out of date on your system (this requires the Pro version – you’ll be prompted to upgrade when you click Update All). That’s it. Feel free to comment below for any questions. Download Realtek HD Audio Driver for Windows 10. Quickly & Easily!